Today, I'm talking everything from Tweets to talks to tax, and the endless cups of tea it takes to fuel it all. I recently saw this (hilarious) Tweet, which made me step back and think about just how much goes into being a writer. When I say I'm an author, I am fully aware that most people take that to mean that I put some words on a page and that's my part of the process done. I mean, let's just cover off the basics of what being an author involves, first. You have to be able to work to deadlines, work alone, work collaboratively, take feedback on board and give feedback, juggle projects, prioritise, manage your time... and on top of all that, still be a creative. Sure, of course, authors have help on those things. You work with editors, copy editors, your agent, your publisher - there are lots of people working hard to make your book the best it can be. But you have a hand in many of those things, and at least a say in them. And then even if you just look at a part of the marketing, even authors who aren't 'big' on social media do things like blog tours now. Publishers often ask you to fill in a kind of press packet to share more about you and your work. You need to be able to talk about yourself and your book, which for a lot of people, is not easy. I mean, that feels like the absolute basics. So now let's build on that. Since I mentioned social media, that's where I'm going next. 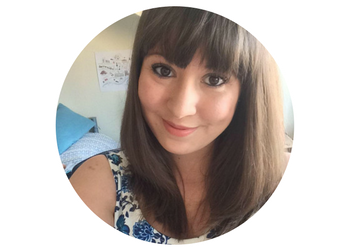 Social media provides this huge, easily accessible community for readers and writers alike - and as readers, we like to feel we can connect directly with a writer whose work we liked. We want to tell them it had us in floods of tears and in stitches from laughing so much and we loved loved loved it. Managing that 'professional' type social media presence can feel like a big job, especially if you're not really a social media type of person who doesn't use it a lot. That's just the online interaction, though. What about the in-person ones? Side note: I had no idea when I started out that I could - and should be - charging for events or talks. I was spending my own money and time doing them for a while before I realised that the norm for the industry was to charge, because authors generally don't earn a helluva lot and that's how they supplement their income. And speaking of income and money - your finances! As an author, you're self-employed. Unless you're earning big bucks and setting yourself up as a limited company, you are classed as a sole trader. All of this meaning: if you're earning money, you have to pay tax. You have to file a tax return and pay your tax bill - and that £20,000 advance you got? Better make sure you save a good chunk of it for when tax time rolls around. When I tell people I'm an author, I know they think that means I pretty much just put words on a page. And maybe it's my millennial approach to life, but being an author means that outside of my day job, I'm basically running a small business. When I started out, I was sharing my book on Wattpad. To get more readers, I used social media. To grow my audience after I was published, I used social media more. Since then, I had to learn to cut things, consider what I create and what my audience want, and build on this personal brand I'd created. I'm pretty blasé about this side of my life a lot of the time (because it feels weird to make a big deal out of it) but sometimes when I stop and think about everything I do to support myself as an author, I am surprised I ever find the time outside of my day job. Even just looking at the social media side of it: I've made a website, I've built up a blog. I can do bits of HTML which I've learnt through doing that stuff. I do a little data analysis on my channels every month. I organise my blog calendar several weeks in advance and then have to actually write those posts. I do some graphic design to create images to go with those blog posts, so they attract more readers and are more shareable on social media. I film myself talking to total strangers on Instagram lives or through Youtube and even bought a couple of pieces of video equipment for all this kind of stuff. When I've done talks, some of them have been to large audiences. It takes a lot of self-confidence (which took a while to build up, I won't lie) to go out there and talk to all these people in a way that's not just word-vomit. I need to consider what my rates are for particular events, and then make decisions based around if I want to do them, and sometimes, if they are worth my time based on what's going on in my day job and other areas of my life, or how I can make it work and where I can make compromises. And on top of all that... I also had to dance for part of my cameo in The Kissing Booth. Which I could not do. At all. And I am very glad you don't see it. 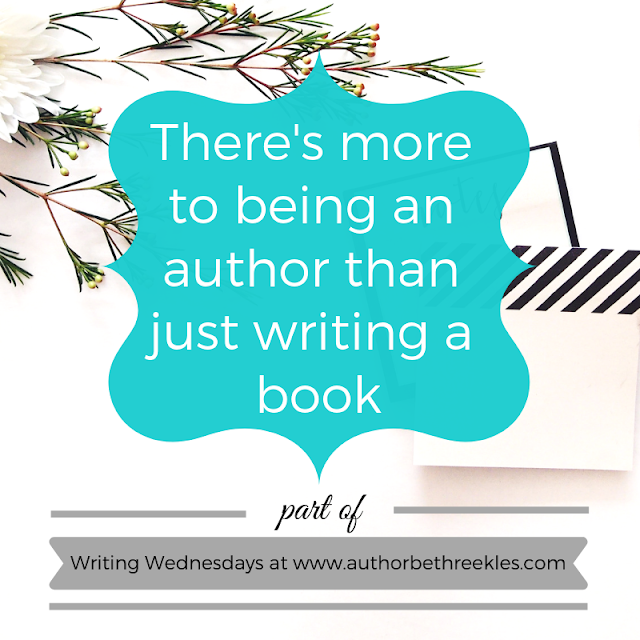 There is so, so much more that goes into being an author than just writing a book. And don't get me wrong: I absolutely love connecting with my readers (which is a huge part of why I ran on about 5 hours sleep a night for weeks when the TKB movie came out last May so I could respond to the people who wanted to message me about it and why I've gotten up at 1am on a work night to get involved in Twitter chats). Being able to have that connection is incredible and so rewarding, and it's why I've invested so much of my time into my social media. But, hey, pragmatically, I'm also hoping it'll help me sell more books. And I'm not trying to put all this out there to scare those of you who have aspirations to be a published author or just to monetise your writing in some way. What I'm trying to get at here is that we, as writers, have to do a LOT. We put our hearts and souls and blood and sweat and tears and endless hours into doing something we love, and not all of that gets recognised. So this post is a massive KUDOS to all the writers out there. You're doing a lot of hard work, and I hope it pays off for you the way you want it to. You're killing it, sweetie. Did I miss something out? Is there something you do as a writer that you feel is a really underrated part of it? I'd love to hear, so share in the comments!